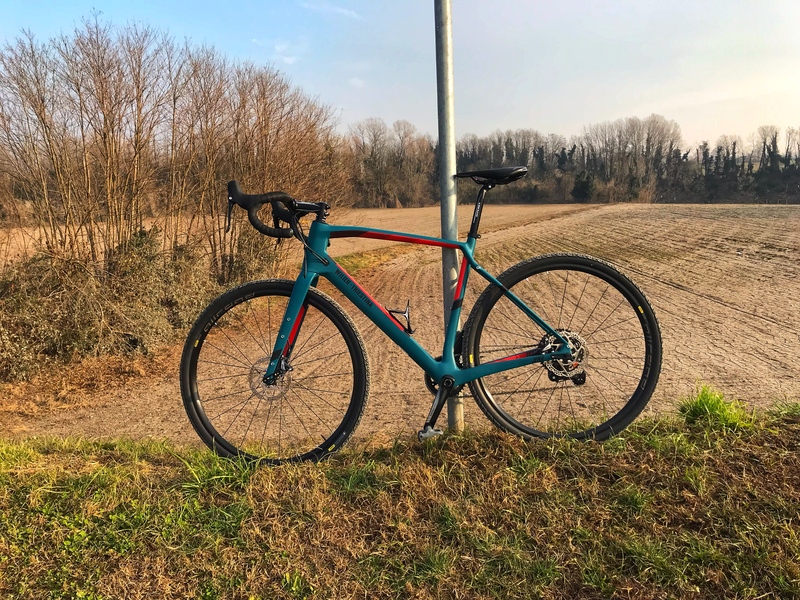 To start this new year of cycling we had the pleasure and the opportunity to test for you the Jena, the new Gravel bike produced by Wilier-Triestina. The well-known company from Rossano Veneto (Vicenza), an historical manufacturer of bicycles since 1906, has managed to produce a bike perfectly suited to “white roads” and dirt roads but with strong “racing” connotations that make it look very much to a racing bike, from performance point of view. The Jena, in fact, is defined by the Wilier-Triestina itself as a bike with “racing-comfort geometries” that make it a lightweight, responsive and extremely easy to handle. Even though aerodynamics is considered a secondary factor in the Gravel world, Wilier did not want to neglect this detail either: the Jena is equipped with a special oblique tube, with a truncated tail shape (typical of the more aerodynamic Wilier models), which emphasizes its line and gives it even greater performance. This new Wilier Gravel sets no limits to usability and available configurations. The large width of the front fork and frame (rear fork) allows the installation of generous covers on 28″ wheels or MTB wheels with a diameter of 650B. With 28″ wheels it is possible to install tyres up to 44 mm wide, while with MTB 650B wheels it is possible to push up to 48 mm wide. Thanks to the removable derailleur support, the Jena can be fitted with either a double crankset or a single front chainring (a transmission method that is now widespread not only in MTB but also among Gravel lovers) without altering the very aerodynamic and refined look of the bike. The model we tested was an L size with frame and fork in 60TON carbon monocoque – also made in other 4 sizes (XS, S, M and XL) – assembled with a SRAM RIVAL 1×11 Disc group, equipped with mono-crown front and equipped with Mavic “AllRoad” wheels and “Mavic Yksion Elite AllRoad XL” 40mm tires. The braking system (the same for all models) is equipped with “SRAM RIVAL Hydro Disc” brakes, both front and rear, with “SHIMANO RT56 160mm Center Lock” rotors that allow you to benefit from an even more comfortable and safe driving experience even in wet conditions and/or on difficult descents. As for the saddle, however, we made a small change for subjective reasons and comfort: the bike had a default “Selle San Marco Startup Team“; we mounted for the test, following all the personal measurements, the new “SP-01 Boost” of Selle Italia. The total weight of the bike was around 9 kg (more or less 1 kg of frame only); very light for a gravel bike. The Jena, as already mentioned, denotes strong stretches of racing bike while being designed and engineered for Gravel surfaces. The all-carbon frame and fork, the Mavic “All Road” wheels, the SRAM Rival 11-speed sprocket set and the great “lightness” of the headset give it a rideability and comfort difficult to find on the market. Despite being fitted with a single-corona crankset, the bike is extremely performing and responsive even on entirely flat and asphalt roads. It is not difficult to maintain average speeds above 30 km/h. 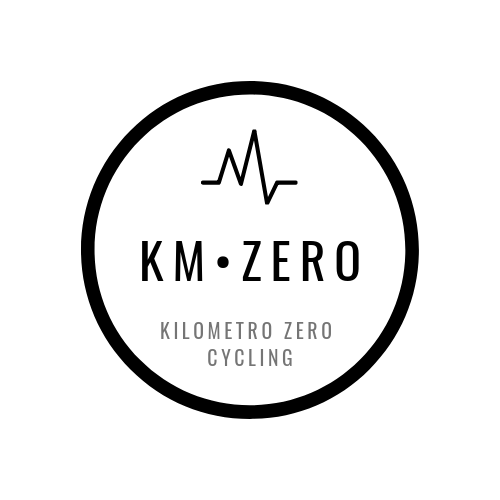 The “softer” geometry of the frame allows you to pedal with great comfort and simplicity for more than 4/5 hours, avoiding back problems and / or neck pains. The Jena, moreover, is able to face uphill and downhill on asphalt without any problem, almost as if it were a racing bike. Obviously, especially in downhill, the bike is less “extreme” and performing compared to a more racing model because of the much thicker tires and less slick. If the Jena was highly performing on the road, let alone on what should be her “daily bread”: the dirty roads. The bike, in fact, thanks to the carbon frame and the “AllRoad” tires of Mavic, reacts really well to the stresses and vibrations of the dirty roads giving the impression of floating on the ground flying over holes and / or imperfections of the ground. Thanks to the head tube designed with a more open angle, the Jena guarantees quality and stability even on the most difficult and uneven terrain. The rear carriage, designed to have a strong response to vertical stresses, also helps to absorb a good part of the same vibrations. As far as the uphill behavior on white roads is concerned, the new Gravel produced by the company from Rossano Veneto is not afraid of any slope. Thanks to the 38-tooth front crankset and rear ratios ranging from 11 to 42 teeth, the Jena allows you to climb on any dirty road without the need to stand up on the pedals and, therefore, without losing grip and performance. If we were to give a final vote, on a scale from 1 to 10, to the Wilier-Triestina Jena, it would certainly be around 8.5/9. The bike is excellent in all its components and very pleasant to ride both on the road and on dirt. From a stylistic point of view, the Jena has many useful supports to allow the installation of bottle holders, bags and luggage racks or mudguards in true bike-packing style. On the front and rear fork, in fact, you can find the holes already threaded to install two water bottles or a lowrider rack for travel bags. Wilier-Triestina offers the Jena in two different colors (Blue/Red Matt and Grey/Blue Glossy) and in six different combinations, with a price range ranging from 2800€ for the “basic” version up to 4600€ for the top of the range version. The price, perhaps, is the only small drawback of this great bike: almost 3000 € for the basic version can “clash” slightly for a Gravel bike even if, in its defense, it must be said that the frame is all in carbon and the braking system is supported by hydraulic disc brakes.